Set sail! This group of pixel-art tilesets allows you to create ships and boats for your RPG world. This is an expansion pack for the Time Fantasy RPG assets. 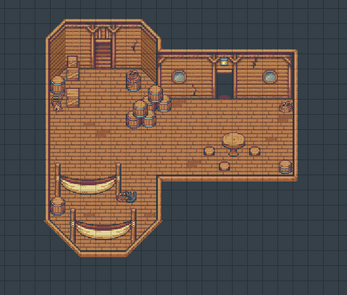 The tiles in this pack will fit with all of my graphics in this style. 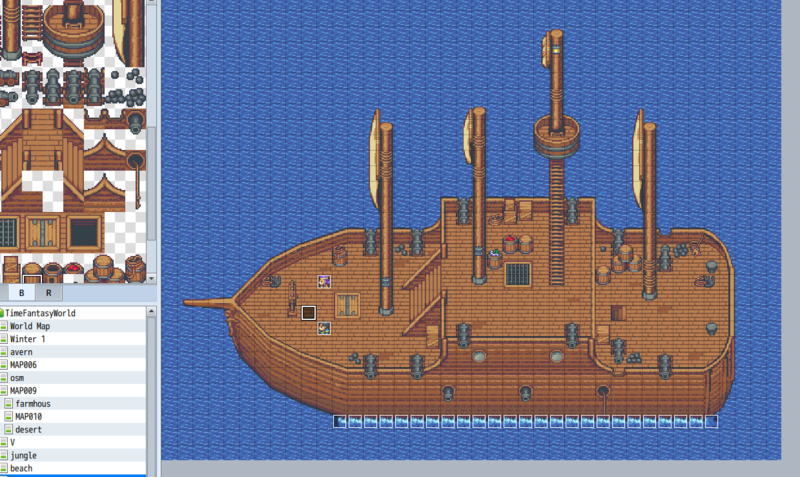 Object-layer tileset with masts, sails, cannons, and more! 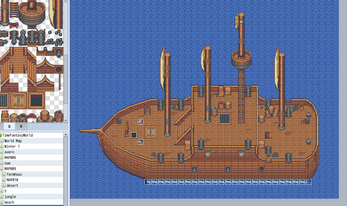 Vehicle sprites for boats, ships, pirate ships and airships. Animated water/wave graphics for use at the bottom of the ship. 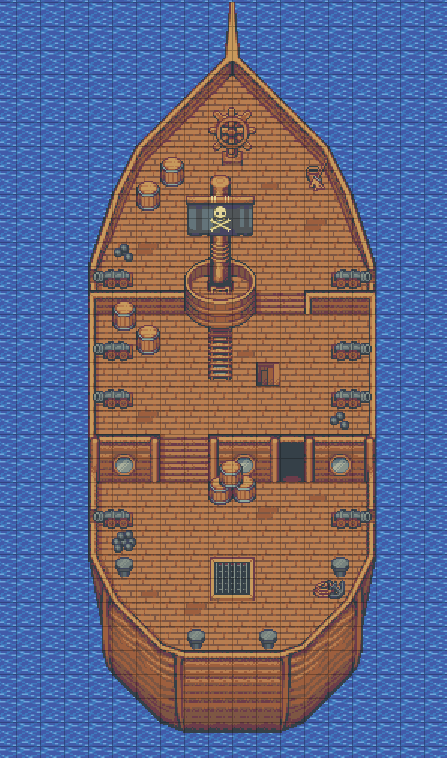 BONUS: Four pirate character sprites in the Time Fantasy style. In addition to a regular 16x16 sheets for general use, this pack includes versions of all graphics formatted for use in RPGMaker VX/Ace and RPGMaker MV. Some excellent work here, nice and retro, as it should be. I am looking for a vector version of something from the 8-bit era, but I can't find anything like this. Is that because this cannot be made in vector form? My issue is that screen sizes on iOS devices keep changing and although Apple has a unified codebase, I still have to create graphics for many screen sizes on different devices if in rasterized form, so vector would be a one size fits all. Vector art and pixel art really aren't compatible. It's entirely different approaches. Your best solution would be to come up with some sort of system that zooms or multiplies the image sizes but keeps it scaled properly so it doesn't stretch and the pixels remain intact proportionally. I would have thought it did that as the size requirements are usually x2 or x3 etc..
Hey man your stuff is pretty much amazing. I'm looking at the Time Fantasy Bundle, any problems with your assets being used in a card game - I'm wanting to make a 16-bit RPG themed card game. Go for it! Sounds cool!